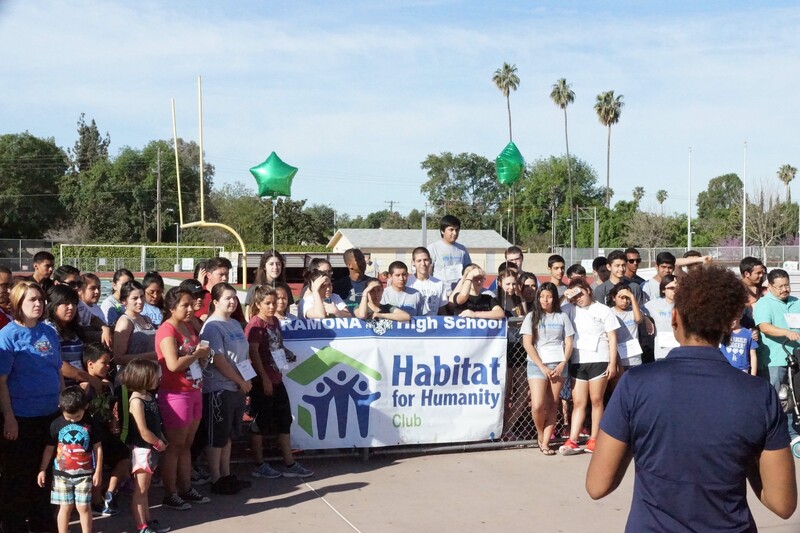 On Saturday, March 14th, Habitat for Humanity Riverside staff and Partner families participated in the third annual Lap-a-Thon hosted by Ramona High School Habitat for Humanity Campus Chapter. Proceeds from the event will support Habitat for Humanity Riverside’s A Brush with Kindness (ABWK) program. ABWK offers exterior painting, landscape, and minor exterior repairs for mobile homeowners typically seniors, veterans, and persons with disabilities who cannot afford to or are unable to do the repairs themselves. At this event, Ramona students raised funds by getting pledges to run or walk and can range from a flat sponsorship to a dollar per lap. 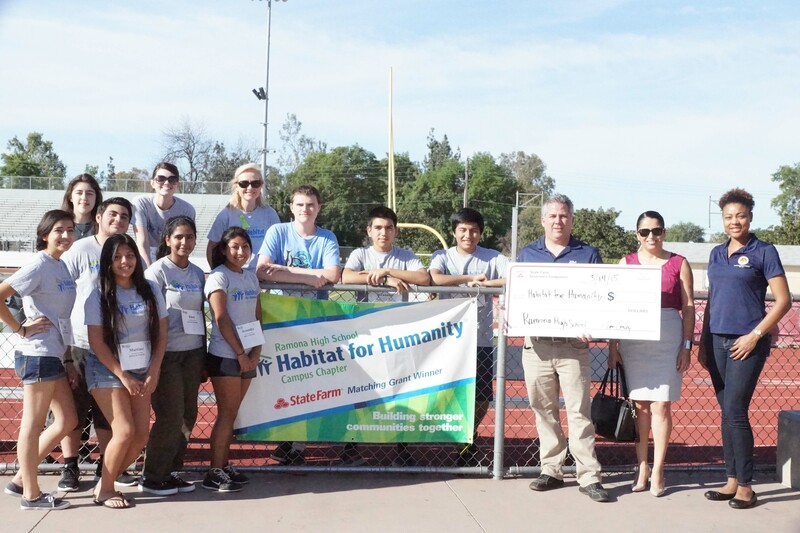 What’s even more exciting is the $2,000 matching grant and a $1,000 bonus grant from State Farm, that Ramona Campus Chapter was awarded. To start off the event, State Farm representatives presented a check for the grant and commended the students for their hard work and dedication in giving back to their community. LaShe Rodriguez, representing Assembly Member Jose Medina’s office, also made an appearance and thanked them for their commitment to service. As a Junior attending Norte Vista High School and working as an intern at Habitat for Humanity Riverside through Community Action Partnership of Riverside County’s Pre-apprenticeship program, I was surprised at the number of students participating in the Lap-a-Thon event. In leading up to the Lap-a-Thon, Habitat staff and AmeriCorps members decided to dress as superheroes to bring a smile to the Ramona students. We also solicited pledges and I along with Joal (Pre-apprentice intern) was challenged by John, Veteran Build Coordinator to complete 10 laps. Seems like an easy task, but there was a catch, 4 of those 10 laps had to be completed backwards! Joal and I were informed about this additional challenge the morning of the event, without a second thought knowing it would double the pledged amount, we both accepted! As we ran, the day became hotter and the laps became harder. Myself and others who chose to wear black, immediately regretted the decision as the day proceeded. 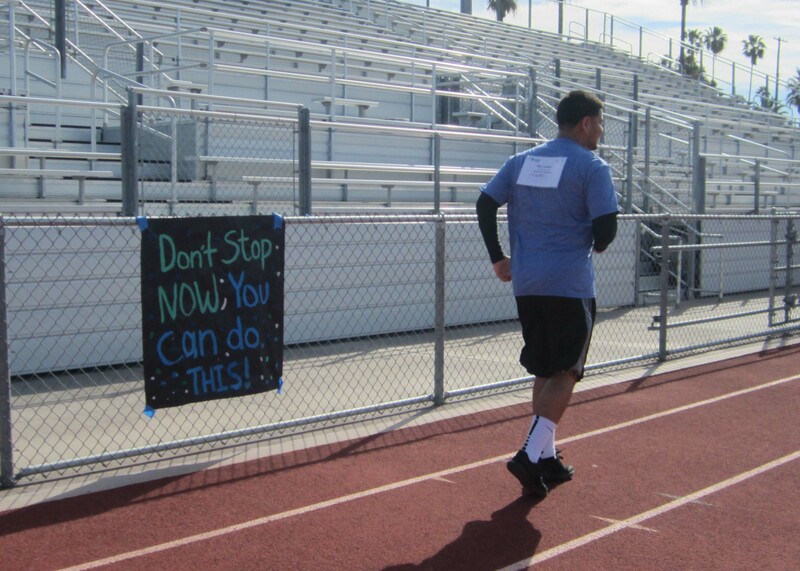 Every 20 feet, motivational posters were hung throughout the track, the motivational quotes kept us moving. 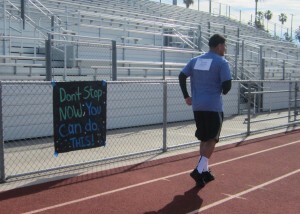 One sign read, ‘Don’t stop now, you can do this!’ which really helped me when I ran my 4 backwards laps. These laps were a lot tougher than regular laps, because of this, I set up a plan to switch between one regular lap and one backwards lap to help maintain my stamina. It worked! 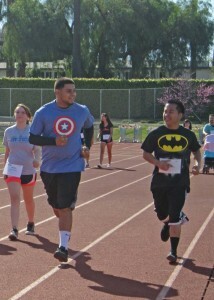 As I ran I noticed the Ramona students pushing each other and motivating one another to meet their sponsor’s goal. The partner families and their children still going strong. You can see the kids excited to run along their parents and catching up to the other kids their age. Their motivation kept me moving and gave me the idea to help motivate others as well. 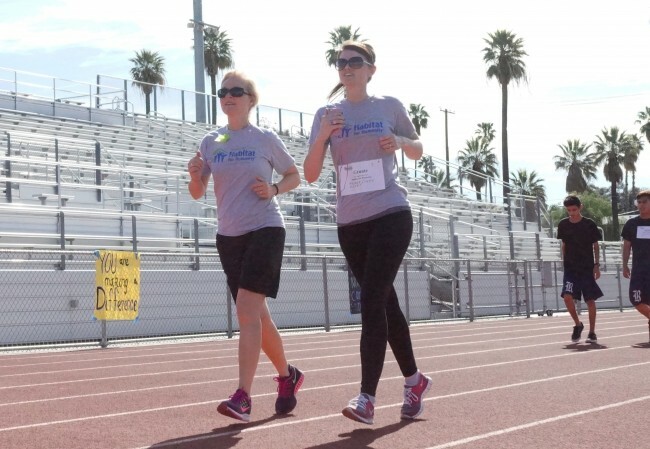 Once the countdown began signaling the end of the Lap-A-Thon, people sped up their pace to finish their final laps. Everyone’s face showed a look of relief and accomplishment as they recieved their final check mark. Everyone felt good about themselves for making a difference and helping their community. One of our partner families approached me and thanked me for everything Habitat for Humanity Riverside has done for them and would love to participate again next year. The children were so exhausted since all their energy was left on the track! I could tell their parents were going to enjoy a nice quiet drive home. 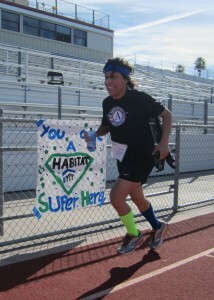 In all, the Ramona Habitat Campus Chapter raised $3,500 with 1,073 completed laps. With State Farm’s grant, they raised a total of $6,500 for the A Brush with Kindness Program! This event put a big smile on my face because it showed me that students can make a difference in their community. I would love to come out next year and do it all over again!